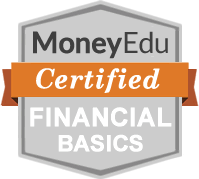 MoneyEdu brings financial education to all of your members. For over a decade, Decision Partners has been the trusted financial education partner of hundreds of colleges, universities, banks, associations, and nonprofits nationwide. MoneyEdu represents everything we've learned about online financial education, now tailored to the specific needs of the credit union community. Whether your credit union wants to offer a "just in time" course for select members, a flexible curriculum based on each member's goals, or a comprehensive community outreach program, MoneyEdu has everything you need for success. Learn about MoneyEdu and request a call or demo. MoneyEdu can be customized to your credit union's unique financial wellness and community outreach goals. With hundreds of money management topics in our content library and full course customization, it's easy to provide an outstanding financial education experience to any member. Use our course templates or create your own. If you provide financial counseling, our secure messaging and online collaboration tools allow you to serve more members in less time. Run real-time aggregate data reports on survey questions and quiz results across your credit union. You can even filter to focus on certain members or demographic groups. You're always in complete control of member data. With customizable content, you can create your own topics, quizzes and surveys for insight into the financial knowledge, attitudes, and behaviors of your members. Build deeper engagement with members (and potential members) with This Week @ MoneyEdu. New themes are covered each week and you can even customize your own weekly themes using 300+ of our topics or add your own. This Week content is ideal for reaching members with highly relevant, general interest articles that are branded to your credit union. 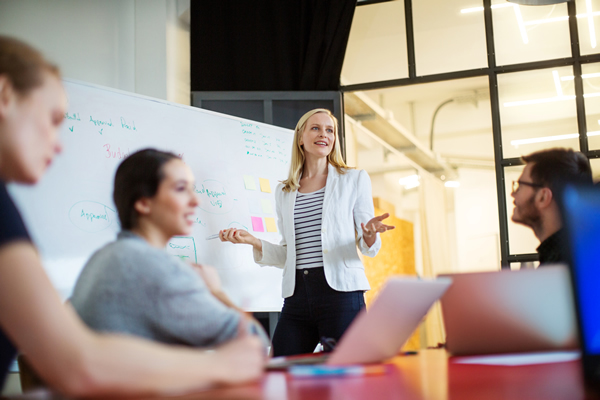 Provide our all-new Financial Basics curriculum to high schools and nonprofits in your community, compliment in-person presentations with guided learning paths, and offer comprehensive financial wellness resources to the employees of your business members. Paying for outreach on a per school basis? Not with MoneyEdu - community outreach is included. 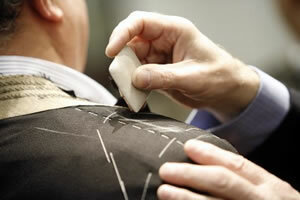 Contact us to request a call back or to schedule a guided demo. Credit unions have always provided a great value for members, but online financial education products haven't always been a great value for credit unions. They're often bundled with other expensive services or their aggressive pricing model is better suited to Fortune 500 companies than community nonprofits. This equation has changed with MoneyEdu. Online financial education is all we've done since 2004. We developed the internet's first online financial education course and our customers have been recognized for excellence by both Bush and Obama administrations. A doctoral dissertation has even been written about our platform. MoneyEdu is for all of your members. High school students can experience a teacher or parent-led curriculum with branded certification badges, adults can customize their experience based on their unique needs, or you can assign learning paths to compliment your existing offerings. With annual pricing averaging around $5,000 for most credit unions, MoneyEdu is a fantastic value. But content, capabilities, and value only go so far. That's why we offer free, unlimited implementation coaching to every customer. Leveraging our platform and financial literacy implementation experience is the best way to meet your financial education goals. Financial content marketing through social media, email, and newsletters. Financial wellness resources for your website. Borrower education and "second chance" program requirement. High school financial literacy sponsorship. Parent-guided financial education for teens. Jumpstart one-to-one financial coaching with MoneyEdu online collaboration. Further, our team will work with you to customize the courses, content, and appearance of your MoneyEdu service to reflect your brand and priorities. Each member's MoneyEdu experience is customized to his or her interests, learning goals, and you can even assign learning paths for certain groups. Members build a portfolio of achievements that can be exported, so their data is never locked into our platform. Members can create a monthly budget, compare it with actual spending each month, set financial goals, and track financial health over time with personalized assessments. Articles are posted daily with This Week @ MoneyEdu, so there's always something new to explore. MoneyEdu's team-based administration tools are easy to use, extremely flexible, and include a range of data reporting options. Export usage and survey metrics, create learning paths for specific groups, add your own content, customize courses, plus more. Private site-based messaging and a complete suite of customer relationship management tools are also just a click away. MoneyEdu does not include phone-based counseling, but does include tools your staff can use to integrate your efforts with our online platform. Want to use our platform and get third-party, phone-based counseling? Money Management International, the nation's largest nonprofit credit counseling organization, is our client too! With MMI you have access to all MoneyEdu tools plus expert counseling. MoneyEdu is branded to your credit union at no additional cost, but we also offer fully customized programs. Tailor made to your exact specifications, MoneyEdu can be more deeply integrated with your organization's look and feel, hosted on dedicated resources, and include custom database and reporting options. If you can imagine it, we can do it. Used by major banks, nonprofits, and other organizations, our custom solutions offer unsurpassed flexibility to meet any education challenge. Examples include PNC Bank, the Association of American Medical Colleges, and the College Foundation of North Carolina. MoneyEdu is a product of Decision Partners, a leader in online financial education since 2004. Hundreds of organizations have used our financial literacy programs, including national banks, high schools, colleges and universities, associations, and specialty lenders. Over 10 million assignments have been completed on our platform. MoneyEdu places you and your members first. When your credit union licenses MoneyEdu, that revenue is the only source of revenue we earn for your implementation - there are no commercial offers, up sells or data sharing of any kind with third parties, period. Assignments completed on our platform. Years of experience producing financial wellness programs. College scholarship dollars we distribute annually. Unique topics covered by our growing financial education library. Presidential administrations that have recognized our customers for excellence in financial education. To learn more about bringing MoneyEdu to your credit union, please get in touch.